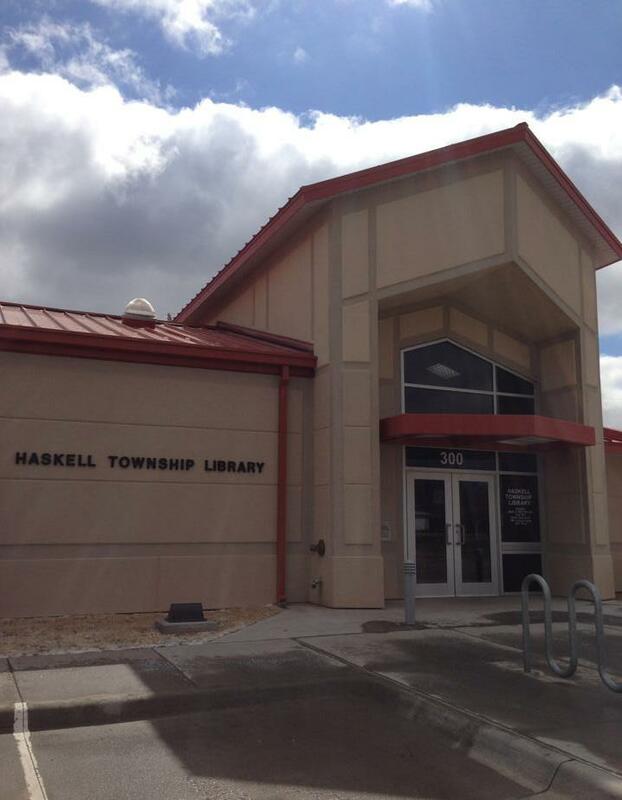 The purpose of the Haskell Township Library is to provide books and other cultural, recreational, and informational material in a variety of formats to the public. The library actively encourages the use of its resources. To check out materials, a resident of Sublette or the surrounding community must complete a library card application. Books may be checked out for two weeks, and DVDs, audio books, and magazines may be borrowed for one week. Established in September 1922 by the Sosuntee Club, the library was first located in the ladies restroom of the Haskell County Courthouse in Sublette, Kansas. Each club member donated one book and encouraged each family in the community to do the same. The library was open each Saturday afternoon from 2:00 to 5:30. Carrie Wilson served as the first librarian. New books were located on a pay shelf, and patrons were charged ten cents for each book until the book had paid for itself. Funds used to operate the library were raised through club activities such as the annual Washington's birthday party, Halloween carnival, popcorn sales at the movie theater, bazaars, bake sales, benefit bridge, tournament suppers, and ice cream sales at the Chautauqua. By 1931 the library had 597 books and an average circulation of 27 books per week. Though the library was made a welfare project in 1934 and 1937, the Sosuntee Club again took on the library project in 1936 and after 1938. In February 1951, the Haskell Township Board assumed responsibility for the library. "Faraway Places," by Gary Lee Price, a beautiful bronze statue of a young girl sitting on a stack of books. Presented by Vince and Skip Mancini, the statue was given in honor of the Sosuntee Club, who in 1921 pioneered a love of books and reading into the hearts and minds of countless young people in Haskell County. The statue is displayed on a custom cabinet that was designed by Vince and constructed by Lawrence Hoerman. Skip designed and made the glass insert in the door. Skip was inspired by the young girl with her hair pulled back into a ponytail, reminding her of herself as a girl and her love for reading.